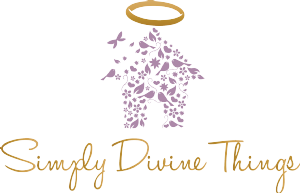 Simply Divine Things is the brain child of Kirsty Devine. It came about after she spent months attempting to find art work to go in her son's bedroom that was not only affordable but also a little bit different. Having found nothing she made it herself and making art quickly became more than a hobby, it became more of an obsession, spending hours finding gorgeous fabrics to turn into amazing and unique things for the home. 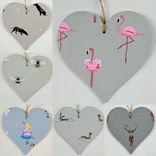 Whether you want a stunning Cath Kidston print to be incorporated in your home in a new way, or you love the quirky Robert Kaufman colours for your child's bedroom, or you just can't find that perfect present with a difference, we invite you to look around our shop and see the hundreds of designs. The love for fabric transfered from pictures to other things and the amazing prints ended up getting involved with ceramics. This intense affair created the Simply Divine Tiles and you will not find anything like these anywhere else in the world. They give everyone the opportunity to bring shabby chic into the home in a way never seen before, and with prices starting at £8.95 each, they're an absolute steal too. If you cannot find what you are looking for, please feel free to get in touch, as we are more than happy to take bespoke orders.